The other day I received a very sweet note from Michele Frizzell, a Mah Jongg teacher in Atlanta. She told me about a great venue for a talk and book signing once our Mah Jongg book comes out. I so appreciate her thoughtfulness and I thought those of you in Georgia might want to know more about her. 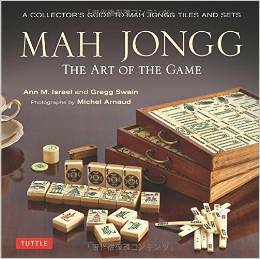 So, here is some information on a great Mah Jongg teacher in the South! 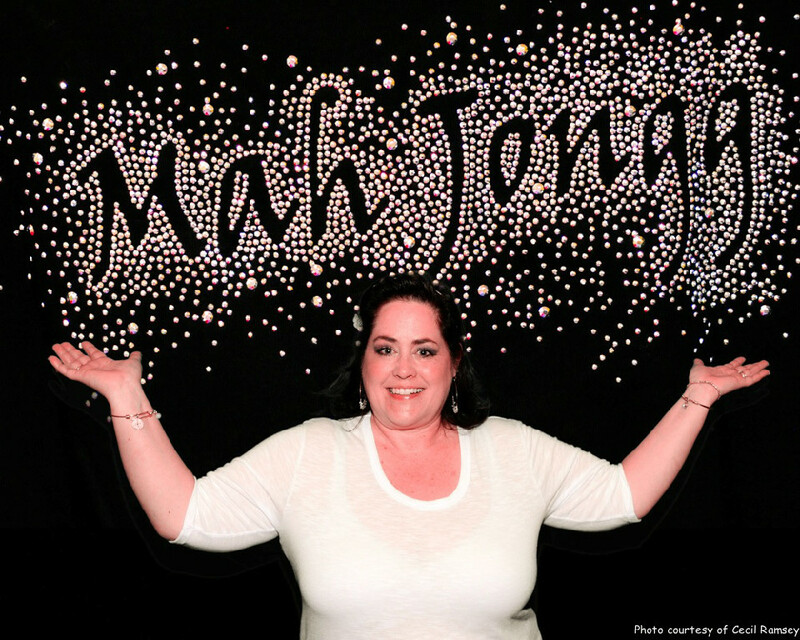 Michele Frizzell has a passion for Mahjong! 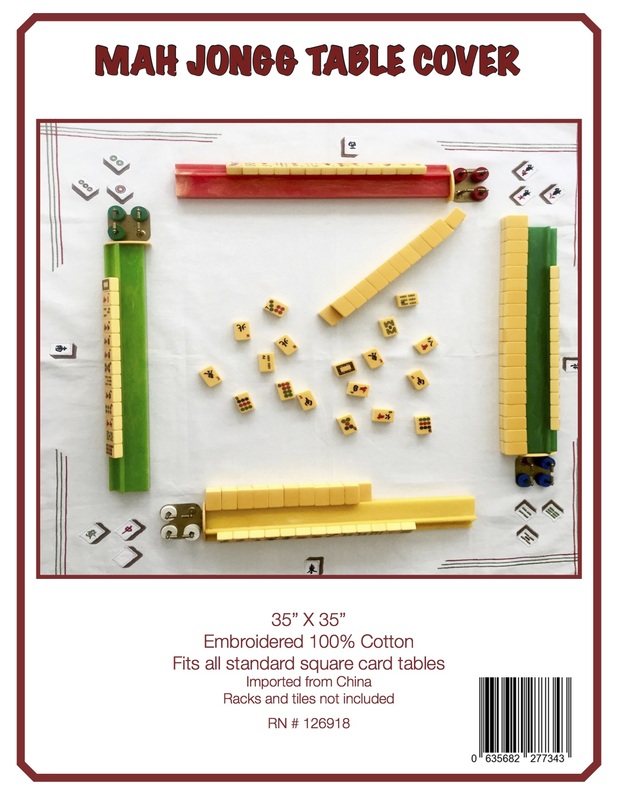 As a child Michele watched her Filipino grandfather play Mahjong with his friends and it always mystified her. In ‘73 Michele’s mother, Carolyn, learned how to play Wright-Patterson style at the McChord Air Force Base Officer’s Wives Club. Carolyn taught Michele how to play the game so she could practice at home – playing Mahjong bonded them together immediately. Like many mother-daughter relationships, there were times when they didn’t see eye-to-eye but playing Mahjong always brought them close. Carolyn became an avid player and led several Mahjong groups. On occasion Michele would play with Carolyn and her friends – these have become some of Michele’s most cherished memories. Carolyn passed away from cancer in 2004 and that was the pivotal moment when Michele began her mission to share the joys of Mahjong with others in honor of her mother. What makes Michele unique is that she teaches all of these styles as well. She has designed comprehensive player references and has developed tried-and-true teaching methods that have shortened the learning curve significantly for most players. Anyone who has learned to play Mahjong from Michele speaks highly of her creative approach to learning and great patience as a teacher. Michele currently offers lessons through the Greater Atlanta Mahjong meetup, Georgia Pierce Park, Marcus Jewish Community Center of Atlanta, Peachtree Presbyterian Church and the City of Roswell Parks and Recreation program. 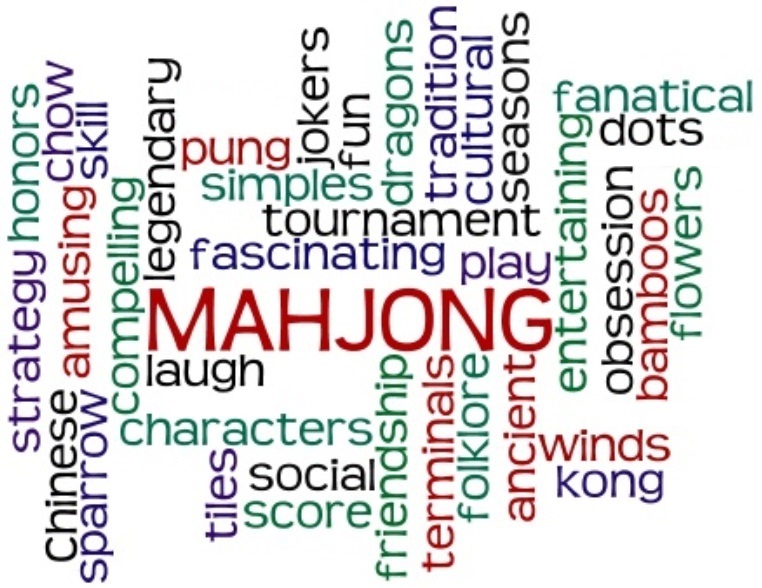 Pick a style, take a lesson and let Michele demystify the captivating game of Mahjong so you can play too! This entry was posted in Mah Jongg and Me and tagged Atlanta, bling, Cantonese, international competition, Japanese, mah jong, mah jongg, Mah Jongg: The Art of the Game, MIchele Frizzell, National Mah Jongg League, Wright Patterson on August 19, 2014 by Mah Jongg and Me. I find it so interesting – and surprising – that many people know many different ways to play the game – I don’t know how to play the Japanese way but would love to hear more about it. Also interesting to learn that you find NMJL the easiest to play. Some people have said that they find it the most challenging! In a future post I will ask which method people use to play the game – thanks for this message! I met Michelle at a tournament in Atlanta in May 2014. That’s how I found your blog, Ann! It’s such a small world, especially among Mah Jongg people!